Following our success running the ARC Bratislava team's Ginetta LMP3 cars in the Asian Le Mans Series, finishing 2nd & 3rd. The team asked that Lanan continue with them to Le Mans with their new Ligier LM2 car. The Lanan team joined their Slovakian team mates on the Monday before the big race, to prepare for qualifying. 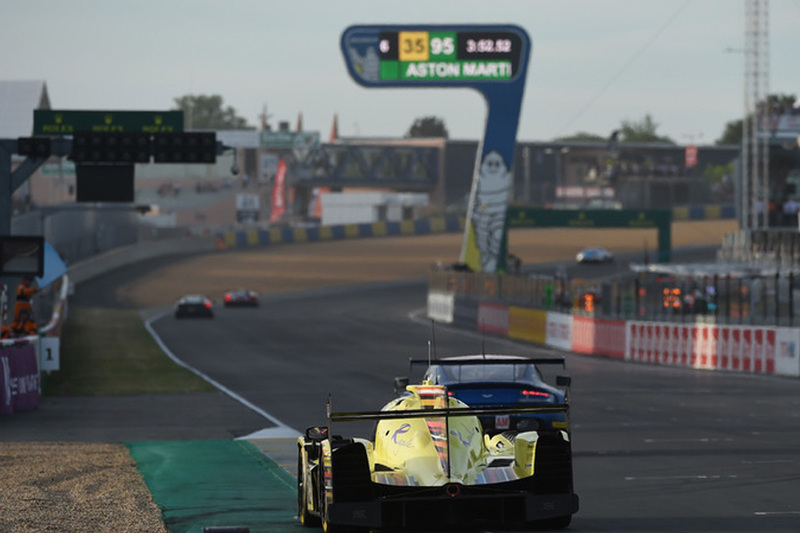 The Oreca LMP3 car had a significant advantage at Le Mans, so our aim was to be the best Ligier and finish the gruelling race. Qualifying looked promising as were one of the quickest up to Qually 3, which we had to miss due to an electrical glitch. The race began with an alternator problem on Lap 1, which dogged us for the first hour, requiring numerous stops to identify and fix. After settling down to a good race pace, Rik had a puncture requiring a pit stop. After a trouble free double stint by Miro, Konstantin took over for his trouble free run. A wheel bearing failure required another lengthy stop to rectify. With a large gap to the leaders the drivers concentrated on consistent lap times and staying out of trouble. At the finish 24 hours later we were classified 45th overall, from 60th at the start.